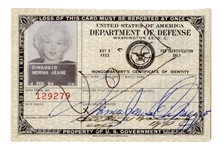 Marilyn Monroe's personally issued and used U.S. Department of Defense non-combatant's certificate of identity that she has signed in the front and that bears her thumbprints on the verso. Measures 2.5 x 3.75. Marilyn has signed the front "Norma Jean DiMaggio" in blue ballpoint pen. 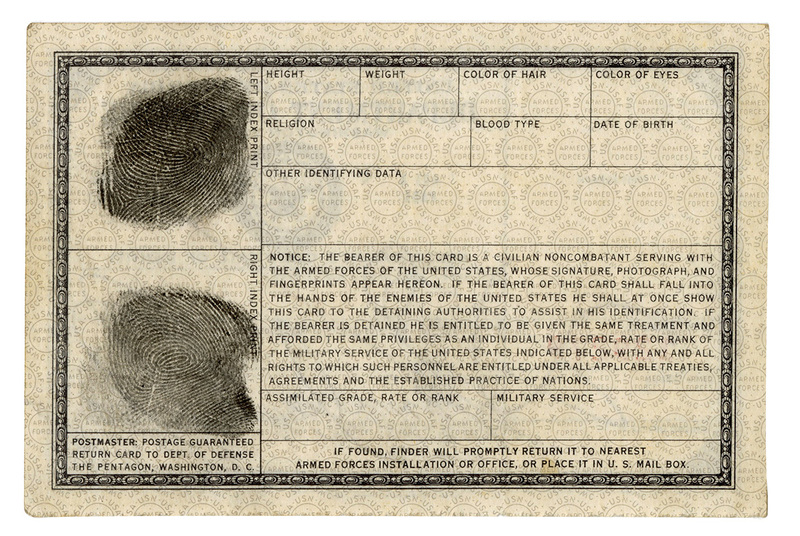 The photo is not original to the ID, it is a reprint measuring 1 x 1.25 black and white photo, that is not attached. 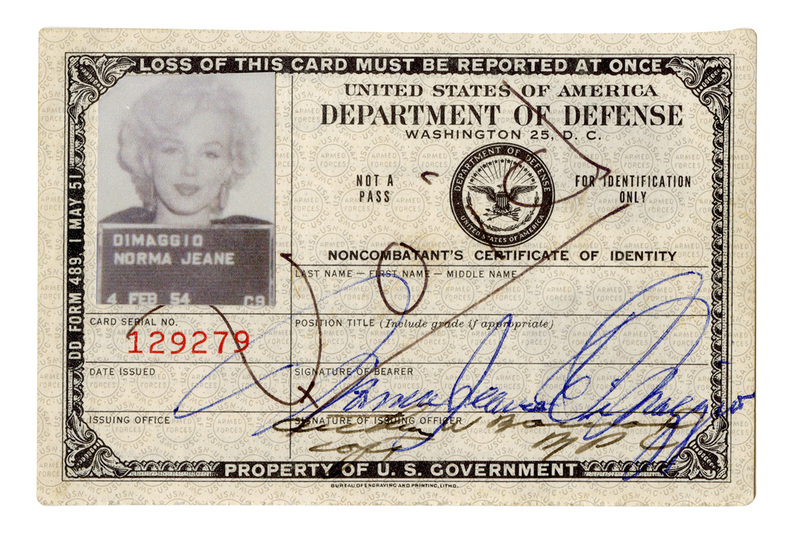 The reprinted photo has her holding a plaque that reads "DIMAGGIO NORMA JEANE, 4 FEB 1954." Marilyn visited the troops to perform for them in Korea during the U.S./Korea War. Very good condition. Comes with a Gotta Have Rock & Roll™ Certificate of Authenticity.